Ships from and sold by kozybooks85. 5.0 out of 5 starsThe blood of martyrs is met with silence. I am conflicted in my assessment and understanding of this book. The book is elegantly written. The prose and story are somber and direct. The setting is rich and I think it offers some insight into the relevant society and culture. I am not sure, however, what the author intended me to get out of the book or whether what I got out of the book is "right" or my projection. I am going to describe the events of the story, so if you are not interested in "spoilers" do not read on. This book is set in Japan circa 1630, well into the period when Japan had outlawed and cruelly repressed Christianity. Christianity had been introduced into Japan around 1550 by Portuguese Jesuits, where it had met with success. By the late 16th century, it is estimated that 400,000 Japanese had converted; some conversions were shallow and superficial, but others were deep and authentic, deep enough for a number of Japanese Christians to welcome martyrdom, and for others to go underground as "Hidden Christians" (Kakure Kurishitan) where they would keep a strange and mutated form of Christianity alive for 300 years. The survival of even a mutated form of Christianity in Japan is a story worth telling in light of the horrible repression that was visited upon the Kakure Kurishitan community, repressions involving stepping on the "fumi" - an image of Christ - and horrible tortures designed to force Christians to renounce Christianity. The story opens with a Jesuit priest Sebastio Rodriguez and two other Jesuits leaving Portugal to travel to Japan to investigate the truth behind the news that their mentor, Cristóvão Ferreira, Cristóvão Ferreira, had been tortured into apostatizing. The opening part of the book is told in the form of letters home by Rodriguez as he endures the difficulty of traveling to the Orient, being told by his superiors that Japan has been closed to missionary activity, and then being permitted to travel to Japan with his one companion, Garrpe, who is not too ill to travel. Rodriguez and Garrpe enter Japan with the assistance of a loathsome, cowardly, lazy, drunk renegade Japanese person named Kichijiro, who is obviously a Christian, but who may have apostatized. Kichijiro denies being a Christian but leads the Jesuits to a Christian village. The story turns into a first person contemporary account of how Rodriguez and Garrpe are taken in by the village, who are delighted to have a priest hear their confessions. Their mobility is restricted, as they have to stay within a hut for months. The Japanese Christians have organized themselves into a society where the "Jiisama" baptizes and the "Tossama" teaches the prayers and keeps the Christian calendar. Rodriguez and Garrpe split up and Rodriguez travels to another village with Kichijiro. After some time in that village, Rodriguez returns to the village, but the village is betrayed and the local leaders do not apostatize but are tied to stakes in the ocean until they drown. Rodriguez goes on the run with Kichijiro, until he is betrayed by Kichijiro and captured by the governor of the province, a former Christian named Inoue. At this point, the story shifts from the first person narrative to a third person narrative. The shift is subtle; I didn't notice until I reread the story for this review. Clearly, we are being distanced from an immediacy with the priest in the latter part of the story for narrative effect. Inoue's goal is not to kill the priest, but to cause him to apostatize, so that other Christians will lose faith and return to traditional Japanese spirituality. Rodriguez has several discussions with Inoue about the nature of truth and the ability of Japan to absorb the foreign spirituality of Christianity. 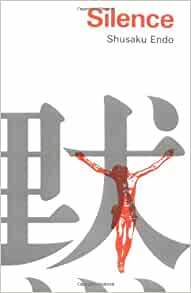 I am not sure if Inoue is the foil for the Shusaku Endo's view of Japan and Christianity; Inoue argues that "Japan is a swamp" and that the roots of Christianity have been cut and that Japan will distort and corrupt Christianity. To a certain extent, this was historically correct, as the Kakure Kurishitan culture mutated Christian belief into an entirely new form that although somewhat recognizable to Catholic Christians is a caricature of belief and doctrine. (See Beginning of Heaven and Earth: The Sacred Book of Japan's Hidden Christians (Nanzan Library of Asian Religion & Culture).) On the other hand, Inoue's argument implies that (a) Japan would never have accepted Christianity and (b) a true form of Christianity could not have endured even if there had not been Japanese persecution. This seems obviously wrong; Kakure Kurishitan communities survived for 300 years, there must have been something in Christianity attractive and congenial to Japanese culture that allowed it to endure under such horrible circumstances. This rings true with the history. (See In Search of Japan's Hidden Christians: A Story of Suppression, Secrecy and Survival.) And, of course, there was also the promise of a paradise in the next world. Rodriguez responds with the Western notion that truth is universal, and to this there is no response. Rodriguez is then given clothes and a nice place to live, although his movements are restricted. Eventually he is given the name and family of a Japanese man who has died. The story ends with two "odd" notes. First, Kichijiro comes to Rodriguez for confession. This appears to be authentic on the part of Kichijiro. Rodriguez knows that he has been disgraced and that his priestly faculties have been removed, but since he is the only priest - apostate or not - who can do it, he hears Kichijiro's confession. Second, near the end of the story there is an interlude consisting of diary entries from a Dutch shipping clerk which imply that Ferreira is implicating the Dutch with secretly importing Catholicism into Japan. Does this mean that in some way, Ferriera is taking revenge on the Protestants who undermined the Catholic mission? But if he was a real apostate, why would he do that? Sprinkled throughout the book is what I took to be Endo's post-modern contribution, namely, the idea that God is silent in the face of the suffering of His followers. On one level this struck me as being an entirely artificial and anachronistic injection of post-modern ideology into the story. Endo points out that there is a lot of suffering in this world; the voyage to Japan is suffering; the repression of the peasants is suffering; the torture is suffering. However, this all seems to hit Rodriguez like a ton of bricks only when he is in Japan, and he doesn't seem to have any philosophical resources to deal with it. I don't buy it. This aspect of the story reminded me of The Sparrow: A Novel (Ballantine Reader's Circle) - a science fiction story with much the same theme. The fact is that Catholicism isn't surprised by suffering; theologies of suffering, offering up suffering, joining personal suffering to that of Christ, etc., are all the bread and butter of Catholicism, particularly in this period when the suffering of the Saints was a subject of artistic flourish. However, on a deeper level, I wonder if there isn't an answer to this question of "God's silence." Obviously, to the Japanese Christians who were being tortured, God was not silent; not only did they have their faith but their prayers for release were answered by Rodriguez's apostasy. Presumably, when Rodriguez apostatized, the victims were taken down from their torture and returned to their villages. So, God does work in mysterious ways. Further, the idea that God was silent in Japan is bizarre; the faith of the Kakure Kurishitan in the core of Christianity, however mutated, that God loves each person individually through his son, screams like a siren to anyone with ears to hear. Further, did Rodriguez really apostatize? On his terms it seems he did since he did not get his glorious martyrdom, but on Christian terms - as Endo explains - he fulfilled the Christian commandment to love; if there is no greater love than to lay down one's life for one's neighbor, then what kind of love is there in laying down one's faith and dreams? And then there is the end where Kichijiro confesses: if Rodriguez's hearing of Kichijiro's confession meant that Kichijiro was saved, that is a victory. If the book ignores these theological aspects, then it is shallow and well-tuned to the superficial theologizing of post-modernity, which may be why Martin Scorsese is making a movie out of this book. (I do not expect anything more from Scorsese than a film that confirms his view that there really is nothing there after all.) On the other hand, if these grace notes - which exist in the barely spoken subtext of the book - are true,then there is a Catholic story here. 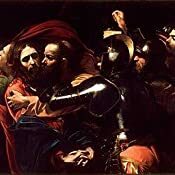 Now, admittedly, I am not comfortable with a theology that says that the highest form of love is apostasy or that Christ would encourage apostasy, but Catholicism is a religion that counts prudence as a virtue, and a formal apostasy out of love is not entirely imprudent. Incidentally, there is a truth behind the story of Christovao Ferreira. The historical Ferreira (1580-1650) was appointed Vice Provincial of the Japanese Jesuits. The historical Ferreira was tortured over the excrement-filled pit and apostatized after six hours. Thereafter, he assisted in torturing other priests and breaking them physically and psychologically. 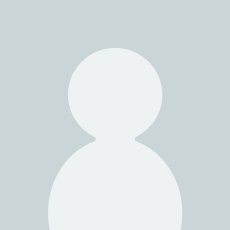 Like other priests who apostatized, he was given a Japanese name and a Japanese wife (often the widow of a criminal) and he wrote an anti-Christian tract called "A Disclosure of Falsehood." So, yes, this is a conflicted text, well worth pondering. One thing is for certain, if you don't want a book that is depressing or if you have a weak faith, this is not a book that you will find worthwhile. This novel is very sad and very hard to take. It forces the reader to search one's own soul. It is a very compelling story. Your opinion on the book is going to depend on where you are in your own life. I do not think you can read this story and be unchanged, unmoved. It is worth reading to the end and then turn it around and read it again. It is very powerful. The writing itself is truly excellent and the story will throw you for a loop. Silence digs right into really difficult questions and challenges of religious faith and what it means and looks like to BE a Christian. Non-religious people will certainly be interested in the theme of devotion and identity. If you're a Joel Osteen, warm-and-fuzzy type, this is very far from your experience and you should DEFINITELY read it. I am not the first to note here that "Silence," the story of a 17th century Jesuit missionary's quest for truth, ending in his loss of faith, is steeped in postmodern irony. The novel is literate, intelligent, and ultimately subtly persuasive in its apparent argument that truth, in this case religious truth, is, to a great extent, a social construct. A great many contemporary books, fiction and nonfiction, dealing with Jesuit missionaries and the culture clashes their work embodies, arrive at this conclusion. Works of fiction as different as "Black Robe," Brian Moore's tale of a 17th century Jesuit's desperate struggle to reach a Canadian mission outpost, only to find his work there compromised by the ravings of a fanatic, and Mary Doria Russel's futuristic "The Sparrow," in which a space-faring Jesuit is tragically misunderstood, first by the aliens he contacts on a distant planet, and later, by his Jesuit brethren upon his return to earth, convey the same message. Faith, taken out of its original cultural context, tends either to mutate into something unrecognizable, or to perish in a hostile foreign soil. Unlike either "Black Robe" or "The Sparrow," however, "Silence" is emphatically not a page turner. The characters, setting and subject matter are almost unremittingly bleak, the apostasy of the Jesuit missionary Rodrigues more or less a foregone conclusion, and the protagonist's endless attempts to visualize the face of the suffering Christ as Rodrigues progresses from one claustrophobic prison to another seem needlessly repetitive. There is little here that could truthfully be called "action," and the character development amounts to what appears to be Rodrigues' progressive spiritual and emotional breakdown under relentless and well-calculated brainwashing by the Japanese authorities, who are determined to rid their country of foreign influence, including and especially Christianity. Even the torture some of the Japanese Christians are made to undergo is either seen or heard from a distance, or perceived indirectly, through conversation. In the end, however, Endo manages a subtle and nuanced portrayal of Rodrigues' apostasy. Unlike Tom Cruise's character in "The Last Samurai," who gains a deeper sense of self, and true happiness, by assimilating to the Samurai worldview, Rodrigues never truly assimilates to Japanese culture, and certainly does not find happiness. Rather, his cowardice allows him to be buried alive by his captors. He sees that, for him, there is no use in resisting, not because resistance lacks objective value, but because he lacks the strength of character for it. But he never loses his sense of the bitter irony of his situation. For example, when he reflects that, "He, a celibate priest, would take a wife," the realization drips with self-mockery and sadness. In the end, his fate is crueler than that of his fellow missionary, Garpe, who throws himself in the ocean with the drowning martyrs. In Silence, it is not every Christian's faith which perishes in Japan, it is the faith of a particular man stripped of belief by personal weakness. 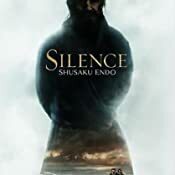 It follows that Silence may be read as the fruit of Endo's mature Christian reflection. For, after all, it is the martyrs who are remembered in paintings and prayerbooks, but relatively few possess the courage to number among them. This is a deeply profound look at the struggles of Christ as lived by a missionary in a world that rejected him. We see his internal spiritual, psychological and even physical hurts and disappointments. A book for those interested in the spiritual and religious life.